Carey Curtis is Professor of City Planning and Transport and Director of the research network Urbanet. She is also Guest Professor at K2 The Swedish Knowledge Centre for Public Transport / Lund University, Sweden. Her research interests cover land use planning and transport planning, including a focus on city form and structure, transit oriented development, personal travel behaviour, accessibility planning, institutional barriers to sustainable transport, governance and transport policy. 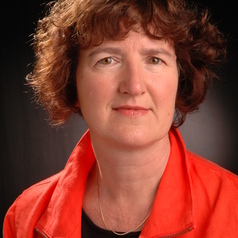 She has published over 90 papers, book chapters and books and has won five Australian Research Council research grants, and is a member of the European Union Concerted Research Action: TU1002 ‘Accessibility Instruments for Planning Practice in Europe’. Carey is Managing Editor of the International Editorial Board of the Journal ‘Urban Policy and Research’, and on the international editorial boards of the Journal of Transport Land Use and the Journal of Mega Infrastructure & Sustainable Development. Carey is a member of the Planning Institute Australia and the UK Royal Town Planning Institute. Carey was elected to the inaugural Board of the World Society of Transport and Land Use Research in 2011.